Hurricane Annie and her associate snorkeling in Fowl Cay National Park in the Bahamas on a recent outing. If you're ever in the area, it's worth the trip. Wonderful shallow water snorkeling on a nearby reef. “Biting insects are the last great protectors of wilderness areas. They are our allies. It is good to experience what it’s like to be at the bottom of the food chain without actually dying.” These words of wisdom are offered up by Alan, our Outward Bound sea kayaking instructor, as we struggle frantically into long sleeve shirts and pants and slap on the repellant. We are fending off ravenous swarms of no-see-ums that have suddenly descended on us as the sun slips below the horizon. ‘Wilderness’ is not the first word that springs to mind when someone mentions the Bahamas. Rum cocktails, high rise hotels and limbo contests are the ready images. Yet, here we are hopping around on a long empty strand of white sandy beach on an deserted island in the Exuma Cays, a string of a couple of hundred mainly uninhabited islands, cays and rock outcroppings of various sizes and shapes in the middle of the Bahamian archipelago. Our small band of adventurers hasn’t seen another human being for several days. Truth be told, our brief encounter with the bugs at dusk was our most serious confrontation with the local wildlife on our week long paddle through the islands; a situation easily diffused with a few squirts of mild bug dope. There are no poisonous snakes in the Bahamas; no grizzly bears lurking in the undergrowth; no malaria. Contrary to popular myth about what happens on an Outward Bound course, none of us are destined to be stranded alone on a sand bar to fend for ourselves with a safety pin and magnifying glass. Our sojourn in the Bahamas is definitely at the soft end of the survival school experience. Nevertheless, the setting is remote and serenely beautiful despite being less than sixty miles southeast of the wall to wall cruise ship carnival in Nassau. The Exuma Cays lie in a long unbroken chain extending over forty miles along the eastern edge of the Great Bahama Bank. The islands are mainly low lying chunks of honeycombed limestone rimmed by powdery white sand and covered in dense vegetation. They are bound on one side by the shallow clear waters of the Bank where the average depth of the sea is three metres, and this is where we ply our kayaks. On the windward side, the cays are pounded by the deep heavy surf of Exuma Sound which drops away to depths of 5000 metres. Viewed from the air, the shallow flats, reefs and sand bars surrounding the islands create whimsical swirls of blue and white, like a finger painting. In contrast, the cays themselves are dun coloured spots on the canvas. However, at ground level the landscape holds beautiful vistas of sand and brush, pristine expanses of soft white beach fringed in places with towering coconut palms or backed by dunes covered with emerald green vines and exotic blooms. The turquoise sea is mesmerizing in its intensity. It is luminescent, lit from beneath by sunlight reflected off a brilliant white sandy bottom and brimming with lush undersea gardens, coral reefs and a profusion of tropical fish. This is our playground and classroom for a week. Outward Bound was founded in the midst of World War II by Kurt Hahn, the innovative German educator who was imprisoned by Hitler in the 1930’s for his outspoken opposition to nazism, and who later established the spartan Gordonstoun boys school in Scotland where Prince Charles spent his formative years. During the war, German U-boats were sinking British merchant vessels in their dozens. Hahn observed that the survival rate was much higher among the older, more seasoned sailors than among their younger, fitter counterparts. He attributed this to a general lack of confidence and self-awareness among the young men of his day. He established Outward Bound to present young men (and later women) with challenges in the wild that would help them discover the true depths of their own physical, emotional and psychological resources. The name ‘Outward Bound’ comes from the nautical term used to describe the moment a ship leaves the safety of the harbour for the open sea. My Outward Bound sea kayaking expedition in the Bahamas is run by North Carolina Outward Bound, one of 48 schools worldwide. We meet up on a patch of grass in front of Georgetown International Airport on Day One. My classmates are an easy going bunch full of enthusiasm and good will. The dozen of us range in age from 19 to 55 and most of us are kayaking novices. Our group represents eleven American states, plus one Canadian with a deep-seated phobia of open water since my mother held me over the gunwales of a ferry at the age of three to show me the churning, heaving, dark ocean. Three seasoned Outward Bound instructors will guide us on our course through the islands: Alan, who jazzes up his instructional sessions with descriptors like ‘fru-fru’ (definition: gear strewn around the campsite) and a collection of interesting outfits. He keeps up team morale by assuring us that “It’s all happening now.” Valerie is the Iron Woman epitomized, with a 1000 watt smile and so at ease on the water that she brushes her teeth as we paddle out each morning. John is a soft-spoken southerner who says he sees his role as that of “placing doorways in front of you.” Everyone has a different reason for taking this trip: a personal challenge; a mother’s desire to better understand her outdoorsy daughter; a gift to one man from his wife; a milestone birthday; or a mid-winter adventure and the chance to absorb some vitamin D.
After spending some time practicing rescues and wet exits (i.e. getting out of the boat when you are sitting in it upside down underwater), the next morning we pile into vans and head north to the rather forlorn settlement of Barreterre on the tip of Great Exuma – the jumping off point for trips into the southern cays. Here we spend several hours packing, unpacking and then repacking our kayaks with all the supplies we will need for the week. At last we venture out onto the ocean – my first time in a sea kayak. The sea is calm, warm and welcoming, but I am constantly scanning the depths for the dark shape of one of the nine varieties of sharks that I have read inhabit Bahamian waters. We do not encounter any sea creature larger than a pancake the whole week. The sun is shining and the water is such lovely shades of bright blue and green that I soon abandon my vigil. Without undue exertion we reach our destination for the night: a flat sandy beach where there is nothing but the sound of the waves and a huge moon overhead. The days gradually assume an easy rhythm of paddling from island to island; setting up and breaking camp; sessions on chart navigation and water safety; exploring the cays on foot and the coastline by kayak. Environmental conservation is a cornerstone of the Outward Bound philosophy. This means no soap or shampoo, and using gas stoves rather than burning the underbrush to cook our simple but tasty evening meals of macaroni and cheese, beans and rice, and one memorable night, a chocolate cheese cake. It also means strict adherence to the Low Impact Camping credo of ‘pack it in, pack it out’ – pack it all out. In sand and rock, even organic matter takes a very long time to break down. Thus, among our equipment is a device christened ‘the groover,’ an opaque plastic receptacle placed at a discreet distance from the campsite and strapped to the deck of some brave volunteer’s kayak as we paddle between islands. The embarrassed giggles that greeted Alan’s instructions as to its use on the first day have gradually given way to open gross out humour. It is amazing what you can get used to. Although the Exumas are virtually uninhabited and little visited, human activity has already inflicted considerable damage on the delicate ecosystem of the cays and the waters that surround them. We spend our third night on Lee Stocking Island, the site of the Caribbean Marine Research Center. We are here to do a community service project: picking up the garbage that has washed up on a beach facing the open ocean. In less than an hour we accumulate a huge pile of cracked plastic, garbage bags and oil cans discarded by passing boaters, pop cans and liqour bottles, rope, shoes and patio furniture. A few miles further north on Warderick Wells Cay in the Exuma Land and Sea Park rests the skeleton of a fifty-two foot sperm whale that washed ashore in 1995. It swallowed a plastic bag which blocked its digestive system and slowly starved the animal to death. A former Park Warden and his wife spent their honeymoon retrieving the bones from the carcass, and it has been erected on a beach below the Park Headquarters as a reminder of both the majesty and fragility of the ecosystem of the cays. Outward Bound is as much about self-awareness and personal growth as it is about learning to use a compass or steer a kayak. We observe the daily rituals of the Outward Bound experience: the group circles at the beginning and end of each day when we join hands, observe a moment of silent contemplation and voice ‘appreciations’ for things like the spectacular sunset last night or the delicious oatmeal cooked by Group A this morning. Fragments of inspirational philosophy are offered up for the rest of us to mull over while we practice our strokes; things like “Though we travel the world over to find the beautiful, we must carry it with us or we find it not” – Ralph Waldo Emerson. On the evening of Day Five, we gather on the beach to begin one of the central components of every Outward Bound field course – the ‘solo.’ This exercise originated in the 1960’s when an Outward Bound expedition ran out of food in the Rockies. With several days to go before their scheduled rendezvous with another party, the group decided to conserve their energy by spending three days in solitary contemplation. The solo has since become a highlight of an Outward Bound course for many participants. I curse myself for not bringing a book to help pass the time, but as John gently admonishes, “That’s not really the point.” So, I sat on my private beach, ate my crackers and watched the sunset through all its gradations of red, pink and purple. Then I lay on the sand as an opulent canopy of stars appeared, seemingly four inches from my face. The day dawned a delicate pink over a mirror smooth sea. I realized that it has been a long time since I watched the sunrise show from beginning to end and what a great way it is to start the day. I took my morning dip next to a giant red starfish, and busied myself rigging up a tarp to shield against the intense midday sun. I wasn’t bored. Outward Bound is also about working together. Yesterday I was lagging behind, and it was a blow to my pride. Today is my birthday and I am assigned to lead our pod of kayaks to an island visible across the water. We travel in a diamond formation so that we can help one another should someone’s kayak flip out on the open water. I am determined to set a good pace. By the time we are half way across, a stiff wind has come up and waves are breaking over the decks of the kayaks. For more than an hour we seem to get no further ahead, all the while drifting further and further south of our destination. I am so intent on powering through the waves that I belatedly realize I am way too far ahead of the group and not fulfilling my assigned task of keeping the pod in formation. When we finally haul the kayaks up onto the far beach, several members of our party are exhausted and hurting. What did I learn? Maybe I learned that it is better to be older and wiser than older and as strong as I was at twenty-one. “Adopt the pace of nature. Its secret is patience” – Ralph Waldo Emerson. It is not all camp craft and self-improvement. The languid hours spent dipping our paddles into liquid jade and sapphire are pure pleasure. Each day at lunch time we beach our kayaks on an inviting swath of powdery white sand and picnic under a palm tree. We snorkel over lush clumps of coral. I am stunned by the intensity of colour and pattern concentrated on the tiny bodies of multi-hued fish that dart among the waving purple sea fans and copses of staghorn coral. One day we visit a colony of hefty metre long iguanas sunning themselves on the beach at Leaf Cay. We follow a footpath to Perry Peak on Lee Stocking Island, the highest point in the Exumas at 123 feet above sea level. There we enjoy a commanding view down the length of the island chain as it trails off over the horizon. We spend one more night under the stars on a soft curve of beach. I lie in my sleeping bag listening to the gentle lapping of the waves and the periodic muffled thump of a coconut falling from a tree. The next day we head back to civilization. After a week in our self-contained little pod, even the sleepy settlement of Barreterre and the few cars and people congregated on the wharf are a shock to the senses. A quick change of clothes and shuffling of gear is followed by hurried good-byes. On our last night, we were each given a booklet of readings grouped under the headings of ‘solitude,’ ‘self-reliance,’ ‘canoeing,’ and the like. I read it in the airport lounge, waiting for my onward flight. Apparently actor Steve McQueen once said “I’d rather wake up in the middle of nowhere than in any city on Earth.” Amen. Packing the right reading material is an important part of any vacation, be it to some tropical beach, the family cottage, or your own backyard lawn chair. Below are my picks for summer holiday reading. Sometimes you are looking for a beach read of substance that is also a good time and maybe gives you a few laughs (i.e., light on the tragedy, heavier on the adventure that is life -- no tears on the beach). With one exception, all of the novels on this list were selected on this criteria. The exception is Restless by William Boyd, a spy thriller which won’t make you laugh, but is an exhilarating, gripping tale set in WWII in which the heroine experiences both the joys and sorrows of human life. There is one non-fiction title on this list: West with the Night by Beryl Markham. A classic memoir full of adventure telling the tale of a life lived to the fullest. Most of these titles were published before the dawn of electronic readers, but are now all available as digital books. I discovered each of these books serendipitously, as you do – on a friend’s bookshelf, surfing the web, at a used book sale, on a heaped table in a book store, listening to a books podcast, or after reading another book by the same author. It’s my go-to good-times list, and I have given these books as gifts many times. Each of them is a totally engrossing trip-in-a-book. The kind where you come to after reading the last page and feel like you've been somewhere fascinating, met people you will never forget, and are a bit breathless from the wild ride. Bon voyage! 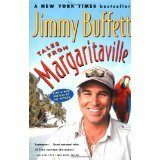 Tales From Margaritaville: Fictional Facts and Factual Fictions by Jimmy Buffett (1989). And he can write great fiction, too! A gentle, humourous collection of short stories that have the same sunny, easy-going tone which imbues Mr. Buffett’s music. The stories comprise a road trip of sorts, from Wyoming to the coast of Florida and around the Caribbean. Along the way, we visit small coastal towns and meet a collection of colourful characters who populate Margaritaville, which is, of course, a state of mind. Cooking With Fernet Branca by James Hamilton-Paterson (2004). Laugh out loud funny. Gerald Samper is a misanthropic ghost-writer of celebrity autobiographies ensconced in a sunny hilltop villa in Italy. His solitude is disrupted when an Eastern European composer named Marta moves in next door. Throw in Gerald’s current rock star client, some mysterious nighttime visitors, and copious amounts of the local tipple, and let the fun begin. Cowboys Are My Weakness by Pam Houston (1980). A collection of short stories about strong, capable women who get tangled up with a series of cowboys and sailors, Mr. Rights and Mr. Wrongs. Not exactly happily-ever-after romances, but there’s some white water rafting and other outdoor adventures involved to keep the adrenaline surging. This Book Will Save Your Life by A.M. Homes (2007). A funny, witty and uplifting tale of redemption set in sometimes jaded Los Angeles. Richard is a wealthy workaholic recluse who abruptly changes his M.O. after a near death experience. He involves himself in the lives of strangers, saying yes where once he would have said no. This leads him to a whole new world. Part of the pleasure of this book is the sharp, original dialogue. The characters rarely say what you might expect them to say, which takes the action into new territory. They are, at the same time, absolutely believable and recognizable citizens of the 21st century. Restless by William Boyd (2007). An engrossing WWII spy thriller, with a strong female protagonist. 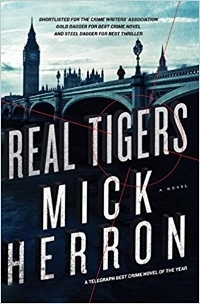 The action trips across wartime Europe. Extraordinary demands are made of an ordinary woman, who rises to the challenge. The action is relentless, the dramatic tension high, and the stakes are life and death. Where'd You Go, Bernadette by Maria Semple (2012) The action goes from Seattle to Antarctica. Bernadette is a somewhat unfulfilled wife and mother living in Seattle. She is increasing contemptuous of the local yummy mummies, and so fed up with the daily grind that she hires a virtual P.A. based in India to handle details like booking dental appointments and shopping. Then one day Bernadette disappears. The story is told mainly from the viewpoint of her beloved teenage daughter Bee, who sets out to find her. Welcome to Pineapple Cay, the new hometown of Nina Spark, accidental sleuth. Nina bought the cottage off the internet. On a sunny island she’d never heard of before. At about two o’clock in the morning with a glass of red wine in her hand, a few hours after her cheating husband had cleared out. She was on a plane to Pineapple Cay a week later. Things seemed to get off to a good start. Nina’s new hometown is the charming village of Coconut Cove, with its narrow lanes lined with candy coloured houses and gardens overflowing with tropical flowers. Her back yard is a white sand beach and the mesmerizing turquoise sea. But local big shot Barry Bassett has his eye on Nina’s cozy little beach cottage with the aim of tearing it down to build condos. Then Barry’s obnoxious wife Tiffany goes missing and Nina finds herself sitting across a desk from the very serious chief of police, Blue Roker, wondering how her day dream of easy living in the islands got so far off track so quickly. Join Nina Spark and her new best friends the philosophizing mailman Danish Jensen and the ever cheerful Pansy Gallagher, as they careen around Pineapple Cay at the maximum speed of fifteen miles an hour in a golf cart, trying to figure out what the heck is going on. This is a story Jimmy Buffett and Agatha Christie might have come up with if they’d been holed up together for a weekend at some slightly faded beachfront hotel with a pitcher of pina coladas and a box of fireworks. Sunbaked is available at www.amazon.com or through your local bookstore.